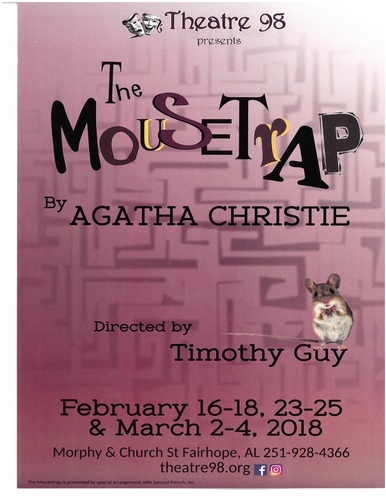 Theatre 98 featuring "The Mousetrap." A snowstorm traps a group of strangers in a boarding house with an unknown killer. A classic intrigue from the foremost mystery writer of her time. Friday and Saturday evenings at 7:30 p.m.